Get back to basics on Vancouver Island. 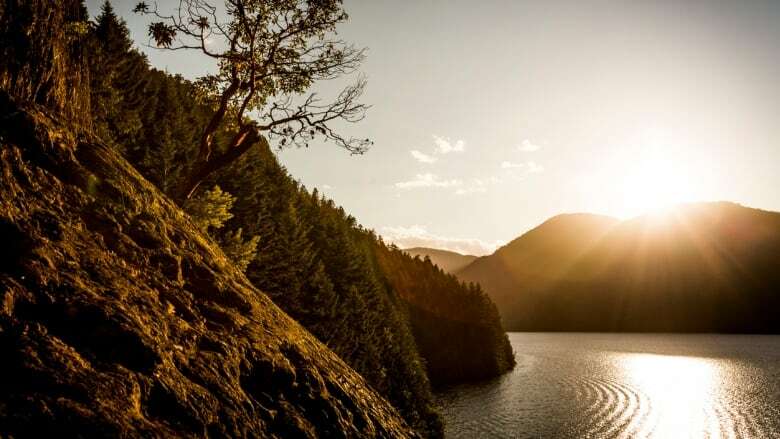 Home to sweeping beaches, towering ancient cedars and mile zero of the Trans-Canada Highway, Vancouver Island has an allure that draws thousands of visitors every year. While many gravitate to Victoria's quaint British heritage, stunning gardens and Inner Harbour views, the city has also been trying to shed its "newlywed and nearly dead" stereotype for some time. Microbreweries and distilleries are popping up, and a swath of independent shops are opening in the city's core. Still, there's so much more to Vancouver Island than Victoria and the Saanich Peninsula. Take a drive up the island to the Comox Valley, where you could very likely stumble across a pop-up farmers market, mountain bike adventure racers, skiers, golf enthusiasts or a live musical festival — all in the same day. It's a snow-meets-surf-meets-slow food kind of vibe that will have you wondering why you waited so long to get there. First afternoon: After landing at the Comox Valley Airport, arriving by car from the lower mainland via ferry (to Nanaimo) or driving up the island from Victoria, you'll be greeted by sky-high trees, sea views and driftwood beaches. Shake out your legs and head to Seal Bay Nature Park, where maple leaves slowly drop from the sky like parachutes and Jurassic Park–sized ferns cover the forest floor. The park is more than one and a half times the size of Vancouver's Stanley Park, boasting a majestic second-growth forest. Virtually all trails lead to the beach, where you'll often hear or see seals frolicking in the bay. Once you've gotten back to nature, swing into 40 Knots Vineyard & Estate Winery for a tasting of classics like Chardonnay, Pinot Gris or Pinot Noir, made from grapes which either grow on the premises or in the Okanagan Valley. They're open Tuesdays to Sundays from 11 a.m. to 5 p.m.
Next, head into Courtenay for a stroll up 5th Street and explore the independent shops for books, keepsakes and home decor. Get lost exploring 10,000 titles at Laughing Oyster Book Shop or browse independent Canadian designer fashions and jewelry at Artifact. Keep your energy up with a hot beverage or sweet treat from Hot Chocolates, known for their handmade artisanal chocolates. First evening: Head south past the village of Royston, where the road hugs the coastline and immense trees guide the way. Settle in at the Kingfisher Oceanside Resort & Spa, located on a rugged stretch of rocky beach between Courtenay and Union Bay. Immerse yourself in authentic West Coast hydrotherapy with a loop of the Pacific Mist Hydropath, complete with a mineral massage pool, waterfall massage, steam cave, glacial waterfall and tide pool–inspired baths. By now you've worked up an appetite, and after all that water therapy, it would only be appropriate to dine on locally sourced fish and fare at Kingfisher's Ocean7 Restaurant. Ask the mixologist for a recommended craft cocktail du jour — often infused with local flavours like cedar-infused gin or plums picked fresh from the bartender's backyard. Next morning: West Coast mornings always start with a good cup of java. Make yours even better with a fresh croissant from True Grain Bread in Courtenay. Their old-world style European bread and pastries are all made from BC-grown and freshly milled organic grain. Afternoon: After your bike tour, head over to the village of Cumberland. A well-known coal town in the late 1800s, today, it's home to many independent shops and a huge matrix of mountain bike trails that are easily accessible from town. Walk up Dunsmuir Avenue and check out locally made products at The Collective Store + Studio and Jipsi Tree. Feeling peckish? Drop into Biblio Taco (housed in The Old Library, naturally) for a handcrafted taco or burrito. Evening: Head back to Courtenay, or extend your stay in Cumberland with a pizza and a pint at Riders Pizza and the Cumberland Brewing Company respectively. Just up the street, the historical Waverley Hotel is often a beloved stop for touring acts, so check out the calendar to see who's in town. Final morning: Get a final dose of fresh West Coast air with a walk at Nymph Falls Nature Park, a popular summertime hangout on the Puntledge River that's accessible and equally enjoyable in any season. Final afternoon: Stop in at Milano Coffee in Comox on your way back to the airport for one more caffeine fix to fuel your trip home. Try for a window seat to enjoy sweeping views of the Valley and gulf islands as you make your way home. Paula Worthington is a freelance travel and lifestyle writer based in Alberta, focusing on quick escapes and off-the-beaten-path adventures. Follow her journeys @p_worthington and www.wanderswild.com.